The annual E Gaming Review (EGR) Awards take place each October in London, UK. Hailed as the ‘oscars of the gaming sector’ (by EGR) they reward B2C operators for high standards in everything from innovation and advertising to customer services and responsible gaming. One of the highlights of the ceremony is the Game of the Year Award which is given to the studio voted to have produced the video slot that has had the ‘biggest impact’ in the previous 12 months. Any company that has been shortlisted for an Operator award can vote for their choice of Game of the Year. This year’s winner in a highly competitive field that included the likes of Playtech, NetEnt, Microgaming, Thunderkick and Red Tiger Gaming, was Elk Studios for their video slot, Wild Toro. Wild Toro Slot by Elm Studios is a 5 Reel game with 178 ways to win. The game’s theme is Spanish bull-fighting and features Toro (a bull) and his rival, the Matador. It features Walking Wilds that move from reel to reel, re-spins, sticky wilds and a bonus round. 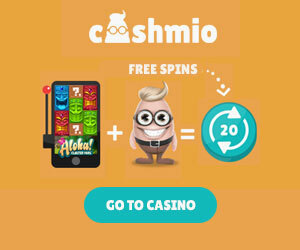 There is up to 2,250x your stake up for grabs with each spin. The game can be played from 20p up to £100 per spin. There are a few treats that set this game apart and make it one of the highlight releases of 2017. The graphics and sounds themselves are a treat to being with. Then there are the THREE bonus features. The first is Toro Walking Wild, triggerd by the Toro Walking Wild symbol landing on reel 5. This wild symbol then moves from reel to reel, right to left, triggering a re-spin with each move. That’s four re-spins in all. The Toro Goes Wild Bonus Game is triggered by the Matador landing on any position on the reels during the Toro Walking Wild feature. The result is a mad, raging Toro who charges through the reels, turning all Matadors into wild symbols for the next spin. Finally comes Matador Respin Challenge. Land three matadors on the middle three reels in one spin. The Matadors become sticky and you get three re-spins here. This feature, combined with the Toro Goes Wild can lead to big wins – up to 2,250x your stake. Why did Wild Toro Slot win the Game of the Year? It most likely picked up a lot of votes for great looks and sounds, combined with great innovation in the features. As a player this high variance slot gives you the chance to win big in the Toro Goes Wild bonus round, so look out for this. You can enjoy this award-winning slot at Video Slots Casino today.